I'm out in the vineyards near our house pretty much every day, walking our dog and enjoying our quiet country setting. My favorite time in the vineyards is during veraison, when the grapes that will go into red wines change color. 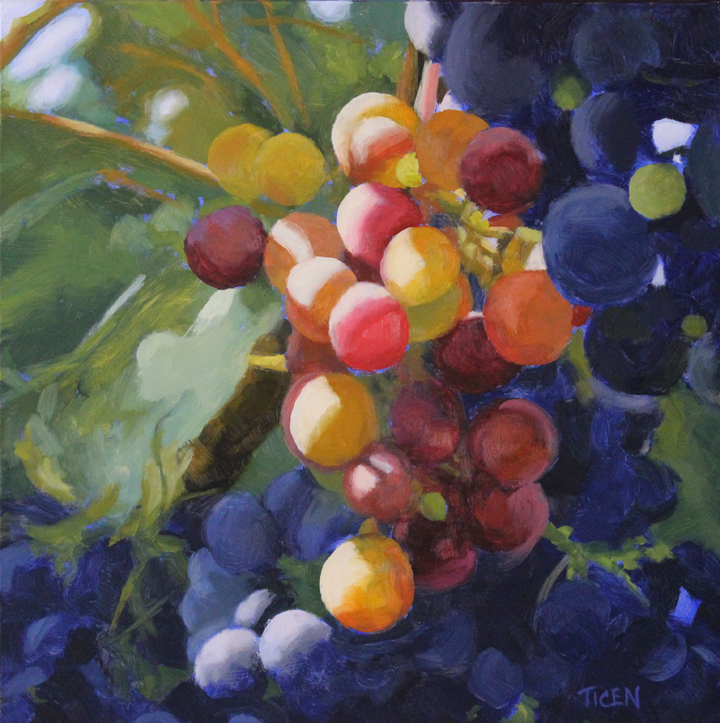 This is the first time I've ever really wanted to paint a cluster of grapes, and I sure had fun doing it.